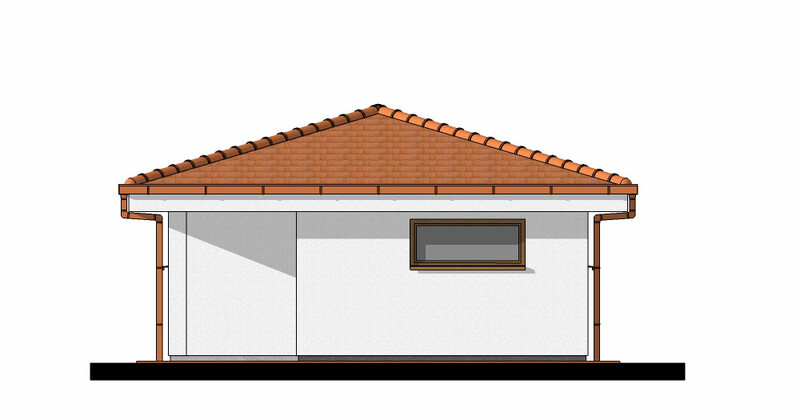 The garage is covered by a hip roof that architecturally matches design of most modern bungalows. The storage space has a separate access from the exterior for better comfort. Storage space is designed as a 4.0 m long shelving unit for tools and garden equipment. 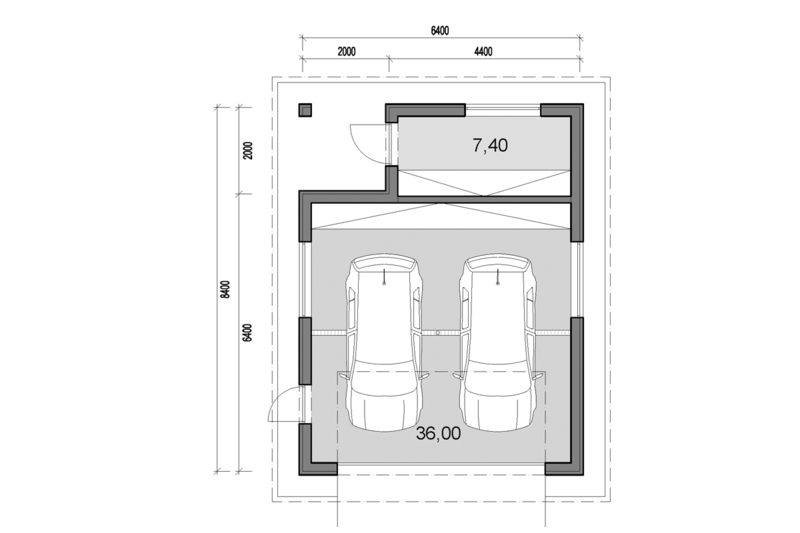 Garage contains ample space for two cars and a large shelving unit on the rear wall. 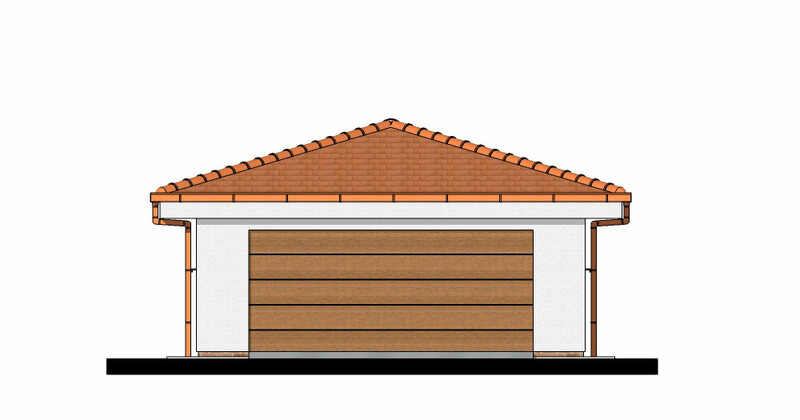 Garage has a separate door from the exterior, in case of failure the garage door. Walls are designed from aerated concrete blocks, which can be easily switched for bricks during construction, if desired. 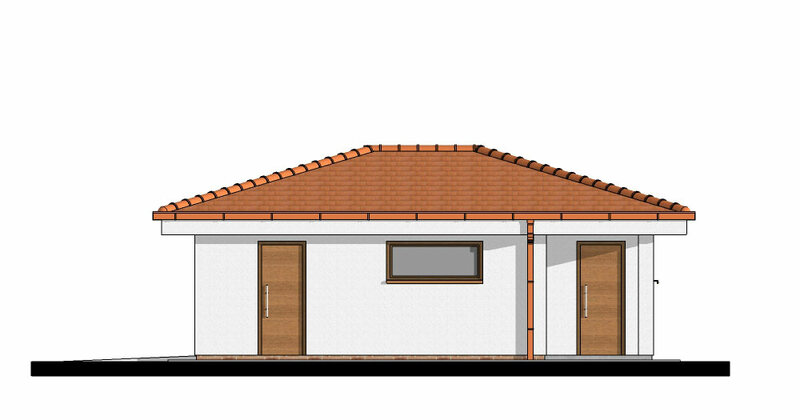 The roof is truss roof. Materials and colors can be easily customized as desired. 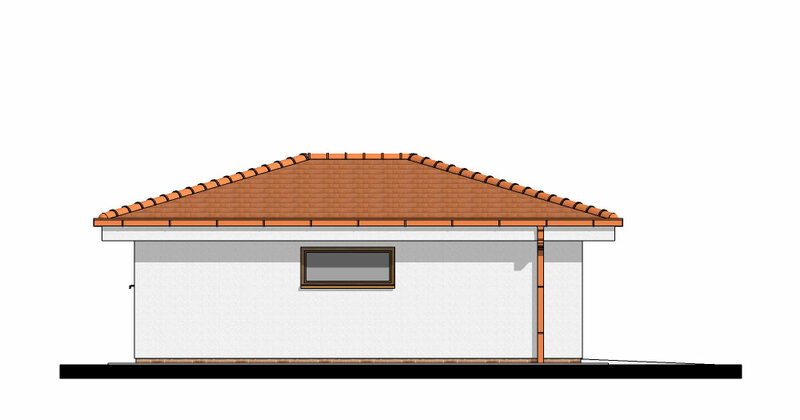 The garage is designed as a combination of white plaster and brown roofing, the windows and doors are designed in brown color or natural wood. 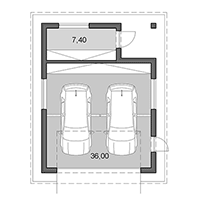 If you would like to modify the floor plan, please contact us. Approximate prices of modifications can be found in our price list of additional services. 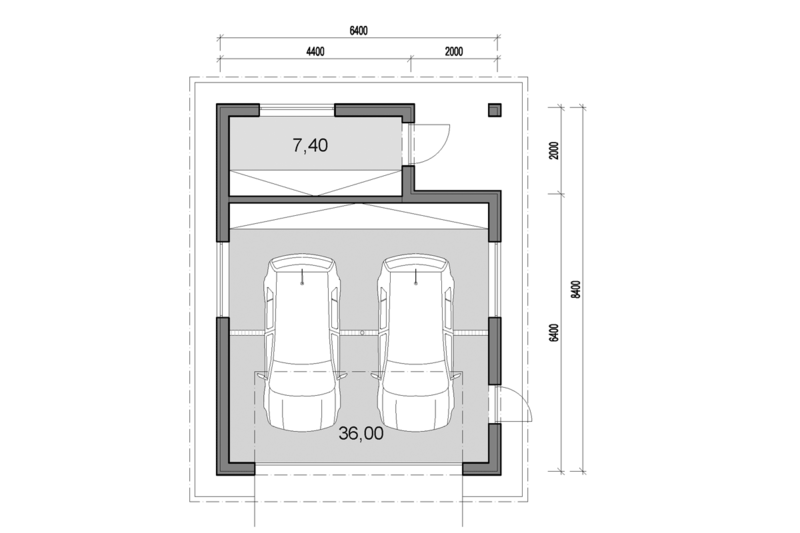 Mirrored version of garage plan is included in price (optional).